Thank you for opening your MemphisRap.com account(s) and/or using our related services. Before you can use your account(s) and any services or features provided to account holders, you must read and accept the terms and conditions of this MemphisRap.com account(s) agreement (“Agreement”). By your usage of the MemphisRap.com account(s) service and other usage upon any services of our site, you accept the terms and conditions of this Agreement. As used in this Agreement: (i) “we” or “us” means MemphisRap.com; and (ii) “you” or “your” means you, the user. Any new features that augment or enhance the MemphisRap.com account(s) and related services will also be subject to this Agreement. In addition to the terms and conditions in this Agreement, you agree to abide and be bound by any guidelines or rules posted on the MemphisRap.com web site by us from time to time. All such guidelines or rules are hereby incorporated by reference into this Agreement. To open an account, you must first register via our web site. In consideration of your use of your MemphisRap.com account(s) and related services, you agree that the information you provide to us (including, but not limited to your country of residence) is true, correct and accurate in all respects, and you agree to update such information as necessary to keep it true, correct and accurate in all respects. If you provide any information that is not true, correct and accurate in all respects, we have the right to suspend or terminate your MemphisRap.com account(s). You will be asked to establish a login name where as your password will be sent to the e-mail address provided inorder to complete the MemphisRap.com account registration process. This is to make sure all addressess used to sign-up are valid. However, this password may be changed after logging in with the password you where sent. You are responsible for maintaining the confidentiality of your password and your MemphisRap.com account(s), and are fully responsible for all activities that occur under your password or account(s). You agree (a) that you will not provide your MemphisRap.com login name or password to any third party, and you will not allow any third party to access your MemphisRap.com account(s), and (b) to immediately notify us of any unauthorized use of your password or account(s) or any other breach of security. Once you have opened a MemphisRap.com account, you will automatically receive a subscription to our MemphisRap.com Standard membership level, which is provided at no charge to all MemphisRap.com account holders. You may upgrade your music membership level to MemphisRap.com Premier at any time by following the registration directions on our web site and paying the applicable yearly fee. We reserve the right to modify, amend, delete or change the features of the MemphisRap.com Standard and MemphisRap.com Premier music service levels at any time and in our sole discretion. We may establish general practices and limits concerning use of your MemphisRap.com account(s) and related services. For example, we may limit the number of CDs and/or titles that you may retain in your MemphisRap.com account. You agree to accept these general practices and limits as they may be in effect from time to time. In addition, we reserve the right at any time and from time to time to modify or discontinue, temporarily or permanently, the provision of MemphisRap.com accounts, or your access to the services provided to MemphisRap.com account holders, for any reason or no reason, with or without notice. You agree that we will not be liable to you or to any third party for any modification, suspension or discontinuance of the provision of MemphisRap.com accounts and related services. You acknowledge that the Registered Content is protected by copyrights, trademarks, and other intellectual and proprietary rights (“Rights”); (a) these Rights are valid and protected in all media and technologies; and (b) except as explicitly provided otherwise, this Agreement and applicable copyright, trademark, and other laws govern your use of such Registered Content. You agree to comply with any instructions, rules, or directions posted by MemphisRap.com related to such Registered Content. You further agree not to copy, reproduce, transmit, distribute or transfer any Registered Content in violation of any third party rights. From time to time it may be necessary for MemphisRap.com to update or revise certain portions of this Agreement. We will either notify you of the amended terms and conditions by email to the email address you provide to us or we will display the amended terms to you when you access our site and/or MemphisRap.com account. Otherwise, this Agreement may not be amended except in a writing signed by both parties. If you don’t agree to the amended terms or to any of the terms in this Agreement, your only remedy is to cancel your MemphisRap.com account. MemphisRap.com may, from time to time and in MemphisRap.com’s sole discretion, limit: (a) your use of the Service; and (b) your ability to access certain audio content in your MemphisRap.com account in order to comply with any applicable law or regulation or to comply with licensing restrictions imposed by the relevant copyright holders. FOREIGN LANGUAGE VERSIONS OF MemphisRap.com WEB SITE. If you log into your MemphisRap.com account from a non-English version of the MemphisRap.com web site, you may be unable to view or playback some or all of the content in your account due to licensing restrictions imposed by the relevant copyright holders. You agree to indemnify and hold us and our subsidiaries, affiliates, officers, agents, co-branders or other partners, and employees, harmless from any claim or demand, including reasonable attorneys’ fees, made by any third party due to or arising out of your use of your MemphisRap.com account(s) and related services, your connection to the related services, your violation of this Agreement, or your violation of any intellectual property rights of a third party. YOU UNDERSTAND AND EXPRESSLY AGREE THAT your MemphisRap.com account(s) AND RELATED SERVICES ARE BEING MADE AVAILABLE TO YOU “AS IS” AND “AS AVAILABLE.” YOU ASSUME THE RISK OF ANY AND ALL DAMAGE OR LOSS FROM USE OF, OR INABILITY TO USE, Your MemphisRap.com account AND RELATED SERVICES; AND MemphisRap.com MAKES NO REPRESENTATION OR WARRANTY, AND DISCLAIMS ALL IMPLIED REPRESENTATIONS AND WARRANTIES, THAT your MemphisRap.com account(s) AND RELATED SERVICES WILL PERFORM IN THE MANNER EXPECTED WITHOUT INTERRUPTION, ERROR OR DEFECT. LIMITATION OF LIABILITY; REMEDIES. WITHOUT LIMITING THE FOREGOING: ALL REPRESENTATIONS, CONDITIONS, WARRANTIES AND GUARANTEES, WHETHER STATUTORY OR OTHERWISE (INCLUDING, WITHOUT LIMITATION, ANY WARRANTY OF MERCHANTABILITY, FITNESS FOR A PARTICULAR PURPOSE, NONINFRINGEMENT OR RESPECTING SATISFACTORY QUALITY) ARE HEREBY DISCLAIMED BY MemphisRap.com TO THE FULLEST EXTENT PERMITTED BY LAW; MemphisRap.com SHALL NOT BE LIABLE TO YOU OR TO ANY THIRD PARTY FOR OR IN RESPECT OF ANY DIRECT, INDIRECT, INCIDENTAL, OR CONSEQUENTIAL LIABILITY, LOSS OR DAMAGE ARISING DIRECTLY OR INDIRECTLY FROM THE USE OF THE SERVICE and/or your MemphisRap.com account(s), OR FOR ANY LOSS OF DATA, LOSS OF PROGRAMS, PROFIT, REVENUE OR BUSINESS, HOWSOEVER CAUSED (WHETHER ARISING OUT OF ANY NEGLIGENCE OR BREACH OF THESE TERMS AND CONDITIONS OR OTHERWISE), EVEN IF THE SAME WAS FORESEEABLE BY, OR THE POSSIBILITY THEREOF IS OR HAS BEEN BROUGHT TO THE ATTENTION OF, MemphisRap.com. YOU AGREE THAT YOUR SOLE AND EXCLUSIVE REMEDY AGAINST MemphisRap.com FOR LOSS OR DAMAGE CAUSED BY ANY DEFECT OR FAILURE IN THE SERVICE and/or your MemphisRap.com account, REGARDLESS OF THE FORM OF ACTION, WHETHER IN CONTRACT OR TORT, INCLUDING NEGLIGENCE, STRICT LIABILITY OR OTHERWISE, SHALL BE, SUBJECT TO THESE TERMS AND CONDITIONS, THE RESTORATION OF THE SERVICE and/or ACCESS TO your MemphisRap.com account(s). THE FOREGOING SHALL BE YOUR SOLE AND EXCLUSIVE REMEDY AGAINST MemphisRap.com. SOME STATES OR JURISDICTIONS DO NOT ALLOW THE EXCLUSION OR LIMITATION OF CERTAIN TYPES OF LIABILITY. THEREFORE, THE ABOVE EXCLUSIONS OR LIMITATIONS MIGHT NOT APPLY TO THAT EXTENT, AND NONE OF THE ABOVE SHOULD BE CONSTRUED AS EXCLUDING OR LIMITING ANY LIABILITY BEYOND WHAT IS PERMITTED UNDER APPLICABLE LAW. You understand and agree that the MemphisRap.com account(s) and related services, including but not limited to MemphisRap.com Standard service, MemphisRap.com Premier service, all other services and software, are provided “AS-IS” and that we assume no responsibility for the failure or inaccuracy of these services and/or software. You are responsible for paying all applicable taxes and for all hardware, software, service and other costs you incur in connection with your use of your account(s) and related services, and providing all equipment and software necessary to connect to our web site and the Service via the Internet. You shall comply with all laws and regulations applicable to your use of a MemphisRap.com account and related services. Also, you agree to comply with all applicable laws regarding the transmission of technical data exported from the United States or the country in which you reside. You may only use a MemphisRap.com account for personal purposes, not commercial purposes. You agree not to reproduce, duplicate, copy, sell, resell or exploit for any commercial purposes, any portion of a MemphisRap.com account and all related services), use of the MemphisRap.com account and all related services, or access to the MemphisRap.com account and all related services. We may terminate your use of any MemphisRap.com account and related services immediately if (a) you breach this Agreement, (b) you repeatedly infringe the intellectual property or other rights of a third party, or (c) we are unable to verify or authenticate any information you provide to us. In addition, you agree that we may terminate your password, your use of the Service and remove and discard any content in your MemphisRap.com account, for any reason, including, without limitation, for lack of use. You agree that any termination of your access to the Service may be effected without prior notice, and acknowledge and agree that we may immediately deactivate or delete your MemphisRap.com account and all related information and files, and/or bar any further access to such files or your MemphisRap.com account and all related services. Sections 10, 11, 12, 13 and 14 shall survive termination of this Agreement. 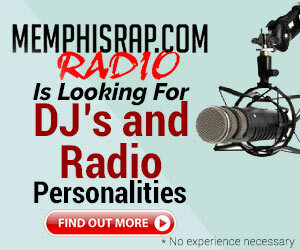 We reserve the right to run advertisements and promotions on all pages of the MemphisRap.com web site, including your MemphisRap.com account. By accessing your MemphisRap.com account, you agree that we have the right to run such advertisements and promotions without compensation to you. The timing, frequency, placement and extent of advertising by us within the pages comprising your MemphisRap.com account is subject to change and shall be determined by us in our sole discretion. Your correspondence or business dealings with, or participation in promotions of, advertisers found on or through the MemphisRap.com web site, including payment and delivery of related goods or services, and any other terms, conditions, warranties or representations associated with such dealings, are solely between you and such advertiser. You agree that we will not be responsible or liable for any loss or damage of any sort incurred as the result of any such dealings or as the result of the presence of such advertisers on the MemphisRap.com web site. This Agreement may not be assigned by you to any third party without the prior express written consent of MemphisRap.com. Any assignment that violates this provision is null and void. This Agreement is governed in all respects by the laws of the State of Tennessee as such laws are applied to agreements entered into and to be performed entirely within Tennessee between Tennessee residents. Both parties submit to personal jurisdiction in Tennessee and further agree that any cause of action relating to this Agreement shall be brought in a court in Memphis, Tennessee. If any provision of this Agreement is held to be invalid or unenforceable, such provision shall be struck and the remaining provisions shall be enforced. Our failure to act with respect to a breach by you or others does not waive our right to act with respect to subsequent or similar breaches. We shall not be liable for any delay or failure to perform resulting directly or indirectly from any causes beyond our control.